Diver certification begins here with the Open Water Diver Course. Complete the SSI’s Digital Learning and move to the pool to practice your new skills. Then experience great open water dives in the ocean. Get certified in one of the world’s most exciting activities – Scuba Diving. There is no other feeling in the world like floating weightlessly over amazing coral reefs while looking at all the colorful fish, corals and marine life. Sign in for your SSI Open Water Diver Course with Aloha Diving. In our family-operated diving school in Phuket, you will not be treated like a number. The Open Water Diver Course takes place in small groups and with personal attention. It does not matter where you are staying in Phuket. We pick you up from your hotel (Karon Beach, Kata Beach, Chalong, Nai Harn Beach and Rawai Beach – other regions upon request) free of charge and bring you to the pier. You can start with your Open Water Diver Course theory with the free digital learning today, it doesn’t matter if you are still at home or already in Thailand. The cloud based digital learning is available on IOS and Android devices as well as on Windows, Linux and OSX. Pick up your theory where you left off wherever whenever you want. Contact us to subscribe you for your online theory. The knowledge development portion of the course is designed so you can learn at your own pace and when it’s convenient for you. Complete the academics online or in the MySSI App as well offline. Fist day of the Open Water Diver Course in Phuket: You will meet your instructor in the morning at our SSI Boutique Dive School at Rawai and go over the open questions from the SSI Digital Learning (e-learning). You will learn as well how to assemble and desamble you scuba diving equipment. In the afternoon you will develop and practice 24 new scuba skills in our own purpose diving and event swimming pool under direct instructor supervision. As you learn new skills, you’ll build the abilities and confidence needed for diving in open water. Get ready to experience everything you’ve learned with the freedom of open water. The second day of your Open Water Diver Course starts at 7:45 with the transfer to Chalong pier. On the boat you set up your equipment. After a briefing you do your first dive at a maximum depth of 12 meters. Between the two dives at selected Phuket dive sites you enjoy a delicious lunch and snacks. After the second dive we are back around 5 pm. On the third day of the Open Water Diver Course in Phuket you will be diving to a maximum depth of 18 meters. You will be more relaxed then ever before and gain some experience. Together with your instructor, you will complete your scuba diving log book where you can track your diving experience around the world noting the fish you see and friends you will meet along the way. As soon as your open water training dives are approved by your instructor you will be certified as a SSI Open Water Diver Diver, enabling you to embark on unforgettable adventures. 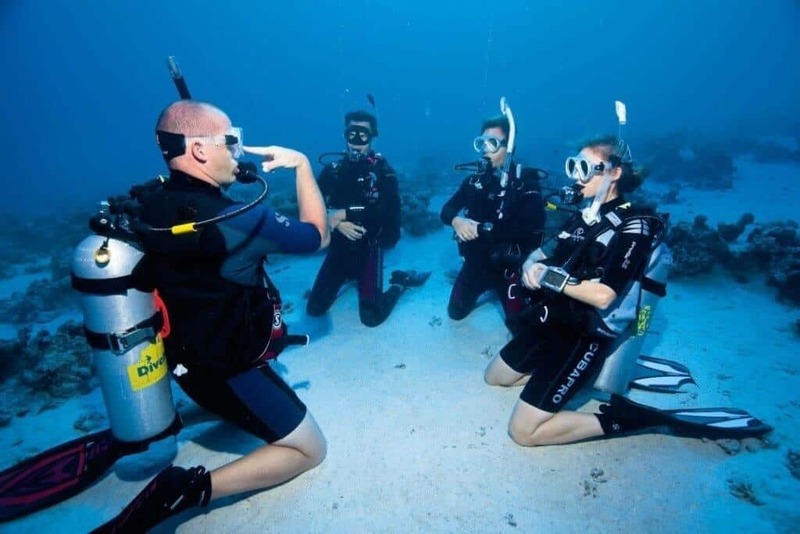 Once you get your SSI Open Water diving license in Phuket, you will be recognised world wide as a certified diver who can go on dive trips, rent equipment and conduct your own dives with a buddy up to a depth of 18 meters, anywhere in the world! Congratulations for your first SCUBA dive certification. 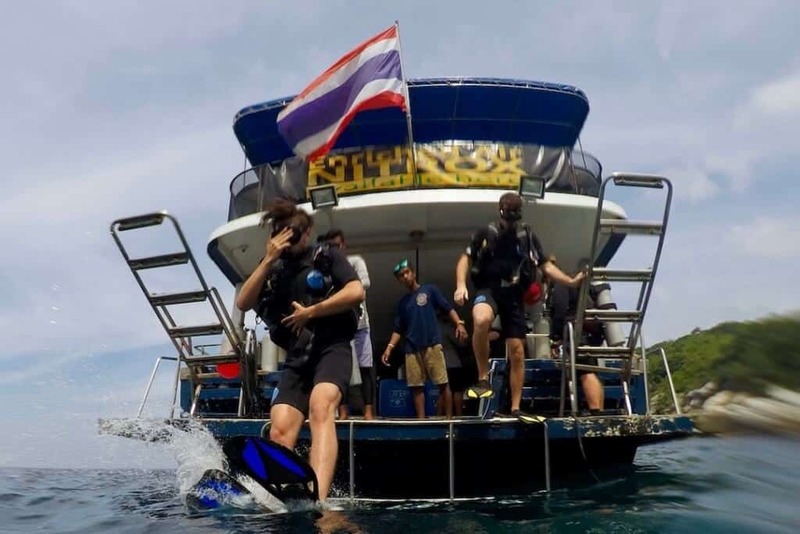 When you complete the Open Water Diver course with us you do not have to pay for rental scuba diving equipment during the same stay on Phuket Island. Where do I dive during the Open Water Diver Course in Phuket? 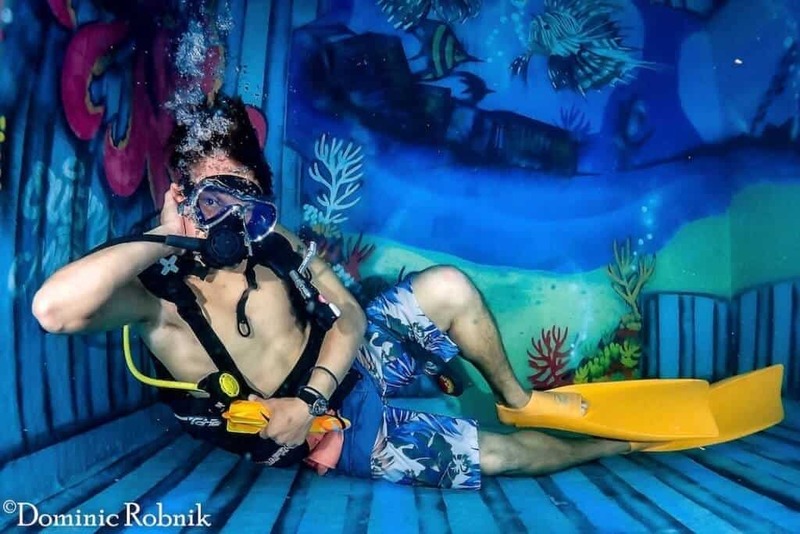 There is an abundance of marine life at the dives sites located in the Andaman Sea around Phuket and your instructor will show you a diverse variety of fish, corals and marine creatures. As we have a flexible boat schedule we choose the dive sites in the morning of the Open Water Diver Course day depending on prevailing conditions such as weather, waves, tides and currents. Enjoy 2 dives each day with no time limit, on a small, easygoing diving boat. Dive sites suitable to complete the Open Water Diver Course in Phuket are the Racha Islands, Koh Mai Thon, Koh Doc Mai and Shark Point. We are asked this question quite often. Almost everyone is going to be fit to dive, but some medical conditions can cause problems underwater so it is important to make sure that you know if you are medically fit to dive. When you start a SSI Open Water Scuba Diver course, you are required to complete a medical statement to declare yourself fit to dive. This statement lists medical conditions that may be affected by diving so be sure to answer completely and honestly – it’s for your own safety.